Sarah’s hot yoga journey began in New Jersey in 2006. It started as a great “recovery day” workout to her intense weight training regimen for figure competition prep. The results spoke for themselves both on and off of the mat. She was hooked and knew that one day she would become a certified yoga teacher. In 2010 she made the move across the country to Seattle with her two pugs, Lily and Lotus, to be with her now husband, Ryan. The first thing she did when she arrived was seek out a home in the yoga community. After 10 years of practicing, she finally took the plunge and enrolled in the Classic 26, 200 hour, teacher training in the fall of 2017. Her passion for guiding and sharing yoga has brought her to BENT Yoga Co. as an instructor, while she continues her development in vinyasa, yin, and yoga nidra. Mandy has been teaching empowering, inclusive, all-levels yoga since 2013. Her goal is for every human who walks into her class to be able to enjoy a non-competitive experience that supports progression, introspection & love. Her classes are creative, well-balanced and life-affirming. She teaches with passion, because she firmly believes that movement, anatomical & philosophical education can transform our lives for the better, helping us to live with greater health and joy. She teaches Prenatal, Hatha, Yin, Vinaysa and Myofascial Release (cupping, too! ), and leads Yoga Alliance Yoga Teacher Trainings. Besides her love of yoga, she is an animal & nature-lover, a student massage therapist & an avid veggie gardener. Shelley took her first hot yoga class a few handfuls of years ago at the nudging of a close friend. At that time, her life was in the midst of a lot of change and it was just the sort of reset she was needing. After sweating out all of her problems, anxiety’s and fears, having that mat holding her up in final savasana, something happened. Something just clicked. She left with a renewed sense of self, and an inner peace and calm she had been lacking. She noticed beautiful glowy skin, and a buzz light year energy she had never before experienced. Having never really worked out before, this practice was a match made in heaven. It’s a physical AND a spiritual practice. There is a renewing of how we see ourselves and how to be cognizant of how we interact with others. Leaving everyone, and everything better than before. Yoga is a great centering workout full of balance and meditation. How can you go wrong? Short answer, you can’t. Not long after, life began to change. She met her now husband, they got married and then she decided she wanted to share this gift of Yoga with others. She began her 200 hr teacher training right after her wedding, and has since been sharing the practice with everyone who will listen. 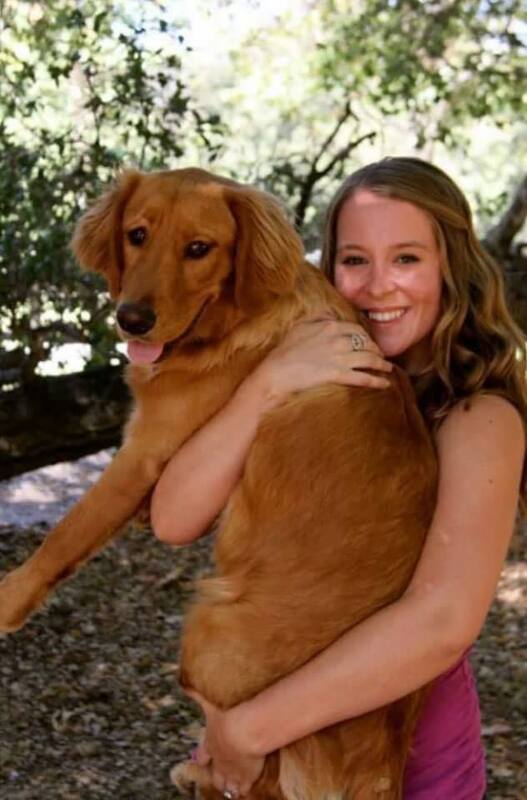 Brett began her yoga journey in 2016 as a means of counterbalancing the demands of marathon training, and while yoga helped to prepare and restore her physically, it also brought about a new sense of peace and calmness in her soul. Her very first power Vinyasa class ignited a new flame, and she began to practice it regularly, finding a peace in the way that her breath and movement synchronized to produce beautiful, flowing patterns of motion and energy. Brett treasures the community that yoga fosters and loves to visit new studios to find inspiration in the countless ways that our bodies can balance and move with focused control. Inversions are a passion of hers, and have become a way for her to explore her athleticism and push herself physically. Brett completed her Baptiste Level 1 training the winter of 2017 and has attended countless arm balance and inversion intensives and workshops with various teachers. 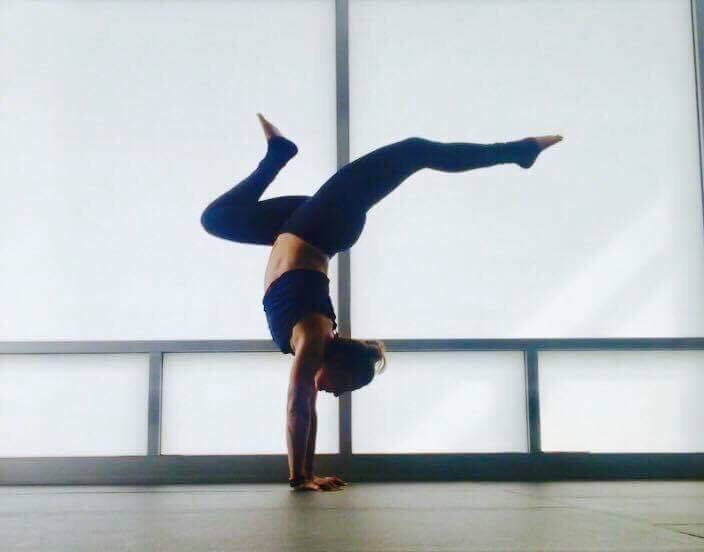 She also regularly teaches arm balance and inversion workshops with her mentor, Jeni Tracy in addition to co-teaching athletic team trainings to various high-school athletic programs. Brett has trained with, and is inspired by Baron Baptiste, Steph Gongora and Erin Kelly. Her musically-driven Vinyasa classes are centered around peace, empowerment, fun and physicality, providing freedom and encouragement to discover what calls to your body and nourishes your soul. Her hope is that students leave her classes, workshops, and events feeling challenged, stronger, peace-filled, and inspired with a hunger to connect deeper to the wisdom of their own intuitive bodies. Emily took her 1st Bikram Hot Yoga class in 1999, and she was hooked. She loved the way it made her feel after every class, mentally and physically. 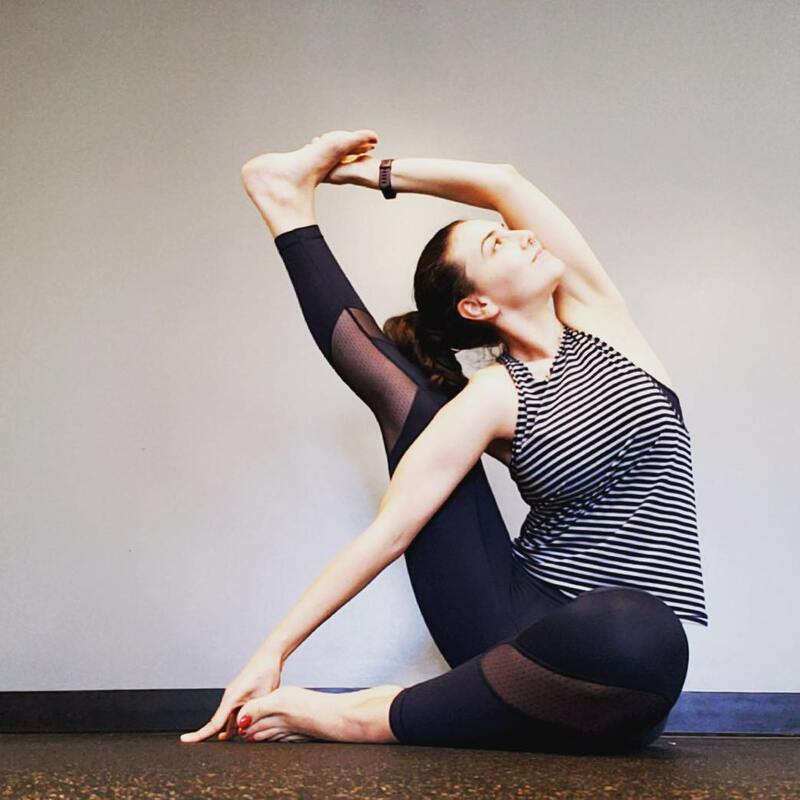 She is dedicated to her practice, which includes Power Vinyasa, Hatha, Yin, and Sculpt.She enjoys teaching to all levels of students, and not just hot! She is a motivated yoga instructor with advanced training in proper breathing techniques, modifications and safe alignment. She enjoys encouraging others to improve wellness and fitness for long-term health.She received her 200-Hour Yoga Alliance certificate through Open Up Yoga Teacher Training, and also completed a 200-Hour Yoga Teacher Training at The Ashram Yoga. During her training, she expanded her knowledge of the spiritual and meditative aspects of yoga. In addition, she completed Street Yoga training, which teaches youth mindfulness by providing access to tools that help develop self-control and a positive self-image, and is certified to teach the Pretzel Yoga Kid’s curriculum. OTHER INFORMATION:Emily has a passion for fitness, so you might find her at the gym in a cardio class when she’s not in a hot yoga studio. She also spends time with her family, taxi’s her daughter to ice skating lessons, and has a real estate license, so she might be helping her clients buy and sell homes. 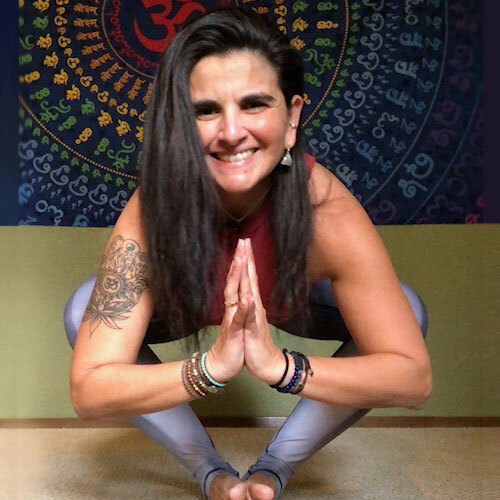 Originally from Costa Rica, Monica began practicing yoga when she first moved to Washington 14 years ago. She worked as a Fitness Instructor for a few years before she completed her 200-hour Yoga Teacher Training (Baptist Yoga Inspired) with Lisa black at Shakti Vinyasa Yoga in Seattle. Immediately she realized yoga was her path. This powerful experience of her first year of teaching inspired her to learn more about different styles of yoga. In 2015 she completed training in Power Yoga with Bryan Kest. This particular training influences and informs her teaching methods and philosophy to this day. It results in a strong and mindful yoga instruction focused on the breath and on body awareness. During 2015, she completed Yin Yoga Teacher training with Pamela Chang. Learning this restorative yoga style significantly evolved her personal practice and this would become one of her favorite disciplines to teach. Monica completed her 500-hour Teacher Training in 2017 at Twist Yoga, where she trained in Yoga Nidra, Restorative Yoga & Ayurveda among other yoga disciplines. After teaching for a few years it became clear that she wanted to direct her energy and will into serving others. In researching the various ways this might be accomplished with yoga, she discovered the Veterans Yoga Project. Learning more about it compelled her to commit to helping this specific group of people who have done so much for all peoples of our country. Monica trained in Mindful Resilience for Trauma Recovery with the Veterans Yoga Project. She joined and was promoted within the Veterans Yoga Project organization to her current position as Pacific Northwest Regional Director. In addition, she maintains her direct involvement with affected veterans through her regular volunteer instruction which is specifically tailored for all the deserving Veterans suffering with PTS at the Everett Veterans Center. She believes all interested people should have the opportunity to learn the yoga way which leads to self-empowerment, deep awareness of self and others, loving regard for self and others; and to gift their body, mind and spirit all the benefits that the regular practice of yoga can bring. Monica approaches this endeavor first and foremost from a place of humbleness. Her mind, body and spirit are open in her journey. She seeks to learn and share new ways and methods of teaching with all around her for the singular objective of helping others discover their path to inner peace. Her greatest joy is the reward of seeing her students fall in love with their practice and witnessing the remarkable life affirming changes people experience through this process. DEE is a RYT-200 Yoga Teacher, trained in Yogaworks, in Bay Area, CA. She is also a Certified Yoga Tune Up® Teacher & The Roll Model® Method Practitioner. She had a chance to complete Yoga and the Five Elements Immersion, to dive deeper into the basics of Hatha Yoga and the ancient yoga-life experience by exploring how the five elements (earth, water, fire, air and space) can affect the body and the entire universe. Dee’s teaching style is a very good combo of relaxed, funny, precise and motivating. Her enthusiasm and zest for life is infectious. She prides herself on positivity and throws fun and laughter into each lesson. She realizes the fact that yoga is for everyBody, all ages, and all levels. In Dee’s Yoga classes you will learn how to align in Yoga postures to practice in a safe manner and flow with your yogic breath in between poses through Savasana. In her Self-Care Therapeutic Yoga classes & workshops you will have a chance to practice therapeutic yoga, corrective exercises, self-massage for myofascial release (by using the YTU Therapy Balls) and breathing exercise to reduce pain and have better posture and performance. These classes are key to have better range of motion, gain more mobility in your joints and have healthier tissues. She loved the way yoga touched her body, mind and her soul, after taking her very first yoga class many years ago. She started practice daily and began to see the results of practicing yoga in her life like a miracle. Her body was having long term injuries and her mind and heart was tired because of a stressful professional life. With the help of all aspects of yoga combined, she learned how to uncover the veils of negativity in herself and let her inner light be exposed and shine. She still considers herself as a lifetime student of yoga. She lives in Bellevue with her husband and spends her time connecting with nature by hiking, exploring and spending time with friends when she is not teaching or learning yoga. Be the first to hear about promotions, events, & specials!